Cold reset is be used to reset HP laserjet printer to the factory default setting, it mean any setting that found on the printer control panel will be reset to factory default setting. But cold reset does not clear the values in the service menu, such as the serial number and the page counts. To do cold reset on HP LaserJet Printer 4345 MFP Series, you try the methods mentioned in this post. HP LaserJet 4345mfp is multifunction HP laserjet printer with printing, copying and scanning function. This HP Laserjet printer designed for office uses. Price of this HP laserjet printer type is about $2,800. 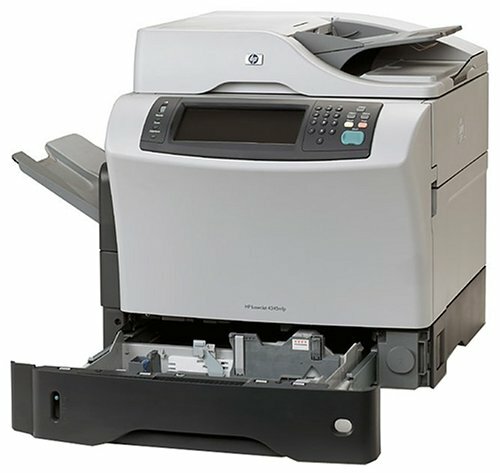 HP 4345 MFP can print B/W document up to 43 ppm. This printer can be connected to printer through Hi-Speed USB port. Turn the HP LaserJet 4345 MFP off and then on this printer. When the memory count appears on the control-panel display, press and hold 6 until all three LEDs flash once and then stay on. This might take up to 20 seconds. Press 3 four times until COLD RESET appears on the control-panel display. Press 6 one time. The HP LaserJet 4345 MFP should continue its initialization sequence. CAUTION: By performing cold reset all setting on the HP LaserJet 4345 MFP are also reset. Before performing cold reset be sure to print a configuration pada and menu map. Related to "Cold Reset Methods HP LaserJet Printer 4345 MFP Series"
HP Laser Printer is mainly use in offices.HP laser printers are the device if you’re looking for a printer that’ll much better with your business.